When it comes to delivering a personal touch, other marketing disciplines have nothing on experiential. 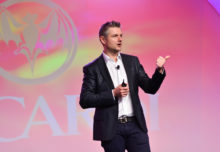 So when social media came on the scene, it was only natural that the two forces would come together to create a killer combination of live and virtual experiences. The trucks went to one fixed event a week with four days open for social media requests, which varied from stops for single requests to pleas for an ice cream break for an office of 500 people. 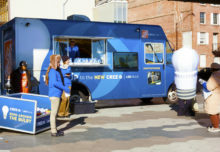 The brand reinforced its Twitter component by plastering its Twitter handle on the side of the trucks and mounted on a screen displaying its Twitter feed. Though the command center is an integral part of the tour, it’s equally important to have the right people on the ground. “It takes a very special field manager out there to be able to not only be very detail oriented but at the same time also be very flexible. This person needs to be able to run with new information really fast,” says Gigunda senior account executive Tracy Durocher, adding that team members with local knowledge of each city is a must, too. Though this type of tour is all about immediacy, getting health, parking and event permits for public places in each city can slow down accommodating requests in real-time. So if a consumer’s request says, “Come to Central Park,” the truck can’t just roll up and start giving out ice cream. But it can make personal drop offs at people’s homes and offices, in which case they just hand deliver product and go on their merry way. “This could be seen as a disadvantage and when we first started the program it was something we grappled with but it has evolved and we see it as a real positive that we can do more one-to-one ice cream deliveries,” says Curley.